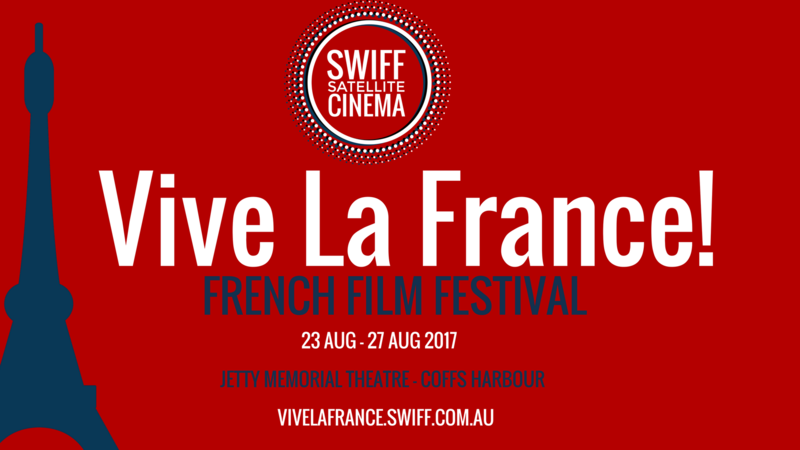 After a rapturous first year for the festival, Screenwave’s Vive la France French Film Festival returns with an expanded program of 15 fabulous films across 5 days from August 23 – 27 at the Jetty Memorial Theatre. This year’s program offers a diverse mixed bag of French delights; from intricate dramas, family films, a 50th anniversary classic, laugh out loud comedies, and for the adventurous cinema goer- boundary breaking cinema with a taste of the extreme. Plus, our popular Opening Night Gala event, wine tasting, French food, follies and plenty of frivolity for all to enjoy! Come and join in the fun, and make sure you grab a film pass to get more out of your festival experience. SWIFF Film Club membership benefits redeemable on all sessions, including Opening Night, Family Films and Festival Passes.